For many product managers, marketers, brand managers and business owners, bad reviews can feel emotionally crushing. You’ve put a ton of effort into providing a great experience, only for someone to turn their nose up at your hard work. It’s probably tempting to bury your head in the sand or lash out at the “fake” reviewer to make the problem go away. The reality, however, is that bad reviews can offer critical insights into where the gaps are in providing your consumer with a truly excellent experience. These actionable insights can turn a good product or service into a great one. Here are just some of the ways a strong feedback loop can help you address concerning issues with your business and help you get more positive reviews to overcome the negative ones. Do you ever wish you could read your customers’ minds to better know what matters to them? Reading reviews allows you to do that, especially the negative ones. Chances are, if they were motivated enough to go online and post a review, whatever happened during their experience was something they deeply cared about. Critically read the review as a whole and list the things they mention as being important. The key here is looking for patterns of behavior where your customer experience is not meeting consumer expectations. Once you find those threads, it’s up to you to address the issues that matter the most to your customers. Before we give this advice, it’s important to note we aren’t recommending you fire an employee the first time you see them mentioned in a negative review. As with any situation where emotions run high, there are two sides to every story. Always give your employees the benefit of the doubt before taking any specific actions. Ask them questions about the review and for details around the customer in question to better understand how events unfolded. There’s a good chance they handled the situation the same way you or a superior would’ve handled it. What does become a problem, however, is when the same employee is constantly showing up in negative reviews about their customer service or performance. This gives you the opportunity to have a crucial conversation with them about improving their performance or reevaluating how they fit on the team. Similarly, frequent complaints about a product can lead to actionable insights for improvements to the product. For example, if you run a cell phone manufacturing company and all of your negative reviews say the new phone won’t hold its charge, something must be wrong with the design of the battery. This gives you the opportunity to fix the problem with the battery and get the improved battery to market as quickly as possible. Again, make sure you aren’t making decisions based on one or two reviews or using reviews as a singular indicator when making decisions that will impact your employees’ lives. Difficult staffing decisions should never be made in a vacuum. As long as you reply to bad reviews the right way, negative reviews can be an opportunity to nurture a relationship with a customer. In most situations, customers are willing to forgive a business for bad service as long as what caused them to post the negative review is resolved. Just because a relationship got off to a rocky start doesn’t mean it isn’t salvageable. Remember, they chose your business for a reason. It’s up to you to provide great customer service by responding to their negative review with an apology and a promise that their next experience will be better because you have taken their feedback to heart. If you do this the right way (and do what you say you are going to do) they may even change their initial review to a positive one. Potential customers take that kind of interaction seriously and it will attract even more business. By properly repairing broken trust, you greatly improve the number of positive reviews you will receive. 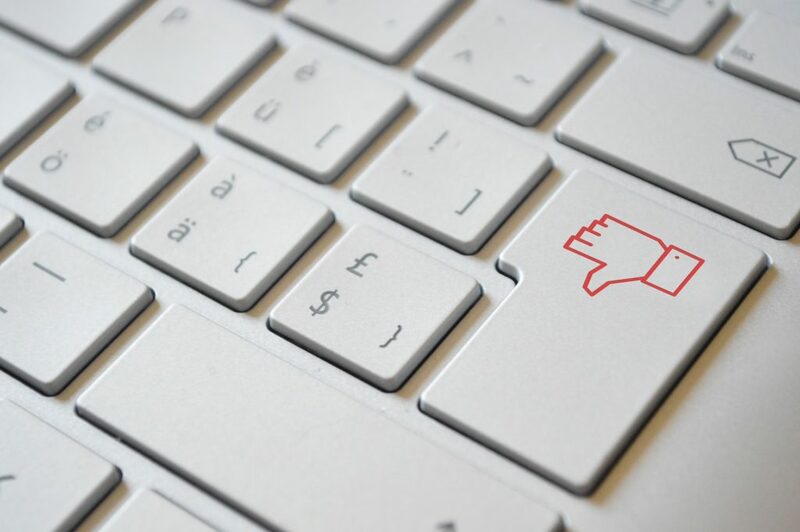 Remember, most consumers treat online reviews the same as personal referrals. If you aren’t already rebuilding those relationships, now is a great time to start. Bad reviews aren’t the final judgment of your business or product. Rather, they should be viewed as opportunities for improvement. If you view them as such, you will start to see a dramatic change in your organization’s reviews and performance. Don’t miss out on an opportunity to build customer loyalty because you are afraid of tackling online reviews head on. Embracing customer feedback will only help you build long-term loyalty.